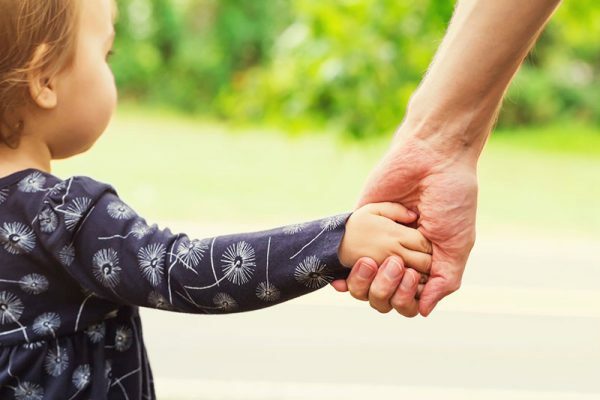 If you are finding yourself with a clingy baby or toddler, and little hope of getting a single thing done, we’ve got some realistic approaches to ticking off your to-do list without going completely bonkers. While shows like Survivor and The Amazing Race feature determined people approaching challenges with gusto, we think parents face much harder challenges every day and they’re doing it all for love, not prizes! Read on, and know that a) you are not alone and b) you don’t have to ‘have it all’ or even do it all. The perfect parent movement might have you thinking that you need to do this parenting thing on your own, but it really does take a village. Set yourself up for companionship and success by enlisting some support. If there are times of the week that things are a real struggle, see if you can arrange all those tricky bits into one afternoon or day and enlist the help of a friend or family member to get things done more easily. Perhaps they can hold the baby while you get things done. Perhaps they can do some chores or errands on your behalf. Asking for help makes sense, in terms of your own sanity and productivity. Even better, the deep connection your family will make with a few other people provides your child with much-needed “aunties and uncles” as they grow up. There are lots of great products on the market that allow you to put your baby down happily and safely, smack-bang in the middle of bustling family life. Hands-free baby play time as you go about your chores is a total gift for busy parents. 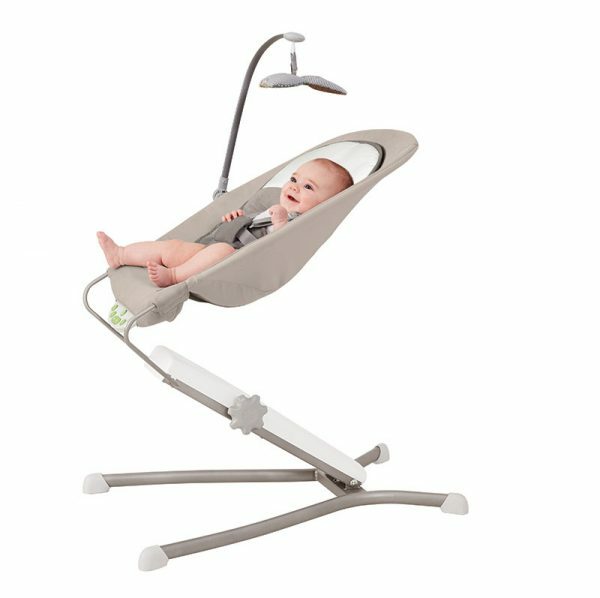 The very clever multi-level Skip Hop Multi Level Bouncer puts baby at a height where they can keep an eye on you. It’s a great place to start and may just mean you’re freed up to chop the veggies for tonight’s dinner or even drink a hot cup of tea! Baby-wearing is not a fad for kale-loving mums – it’s a guaranteed way to bond with your tiny person and get things done in the process. Baby-wearing is an age-old, sensible approach. Not only does it help your baby to doze off and feel super-secure, it conveniently frees your arms up to do other non-baby things. Hooray! If you’re not sure which baby-wearing device is best for you, head to your favourite bricks-and-mortar baby goods retailer and try some on for size. This will ensure you choose the best product for you and your baby – something that’s a bit hard to do when shopping online. It also means the experts can show you how to adjust your baby carrier for optimal comfort and safety. It’s easy to assume life should continue at break-neck speed once your baby makes her appearance. Perhaps for some parents it does. For the rest of us mere mortals, it’s a great idea to slow things down as much as you can and forget about perfection. Lowering your expectations and prioritising your own health and happiness are the very best approaches. A perfect home and perfect baby are not the ultimate goal. Why not instead concentrate on navigating the day with as much humour as possible, while taking time to consider your own and your baby’s wellbeing? Fancy kitchen appliances might just be your best friend when it comes to making your day that little bit easier. Slow cookers, for instance, allow you to throw a bunch of delicious stuff together in the morning and know that dinner will be on the table that night, no matter what. Some say Thermomix-type products are equally life-saving for new mums. In those early days of parenting, home-delivered meals, once-a-week cleaners or grocery delivery can also be a complete god-send. Add them to your baby shower wish list or let friends know that they can help you by organising one of these helpful services. Get your to-do list for the following week in order and then chat to your partner, mum or bestie about what you might be able to delegate. Not only does this make things run more smoothly, it takes the pressure off you so you can concentrate on parenting. Working as a team is a great default habit for couples. Being a parent doesn’t mean you morph into some kind of amazing, do-it-all super-person. Plan ahead and plan to enlist helpers. It can be very hard to see a way through the intense days of early parenting when things are proving challenging. Know that babies and mums grow and change all the time. What seems like the insurmountable norm today may be a distant memory next week as you and your child move on to other things. Hang in there. It gets better! Find great Skip Hop products like this bouncer locally at Babyography, The Stork Nest and Bubs Baby.